Experience-You will get to experience how things work inside MRR and see what all goes into making our education programs successful! Missouri River Education engages participants’ innate sense of wonder and natural curiosity to explore the Missouri River through place-based programs that are interdisciplinary in nature and experiential in character. 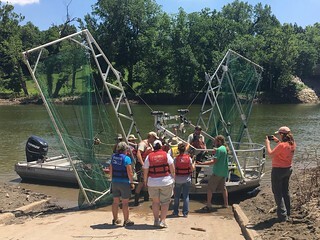 We seek to build participants’ knowledge and understanding of the Missouri River through hands-on experiences that will deepen their connection and sense of responsibility for its care and stewardship. Informed by our research and experience working with communities along the Missouri River, we believe this approach inspires community engagement, academic achievement and a sense of stewardship. Missouri River Education focuses on the development of three core competencies that are integrated into each program. These core competencies serve as targets for participant’s growth, points of participant’s dialogue and criteria for program assessment. Missouri River’s abiotic and biotic factors are interconnected through networks of relationships. Missouri River’s diverse ecological community provides resiliency in the face of ecological change. Environmental variations are an essential aspect of the Missouri River’s ecological community. Describe how Missouri River abiotic and biotic factors interact with one another through networks. Explain that the diversity of species in Missouri River maintains the balance of its ecological community. Identify that there are limits to how much stress can be tolerated by the Missouri River ecological community. Identify the difference between environmental variations that can be tolerated and can be harmful. Missouri River has been and remains a lifeline for people and commerce. Humans have impacted the Missouri River in both positive and negative ways. Different historical perspectives of the Missouri River. Compare and contrast people’s use of the river over time. 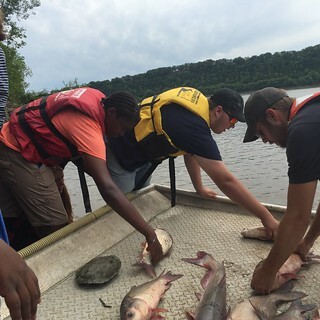 Describe how management practices have changed the ecology and geography of the Missouri River. Imagine what life was like for all the cultures that have lived on and used the Missouri River. 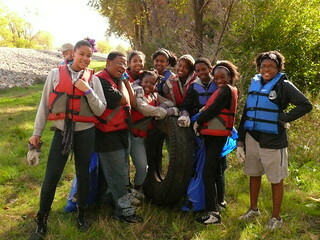 They have the ability to positively impact the Missouri River, their community and themselves. Complexities and interactions of economic, environmental and social systems on the Missouri River. The Missouri River is a shared resource for communities across its watershed and for future generations. Apply knowledge and stewardship skills in a variety of setting. Analyze the Missouri River using a systems thinking approach. Explain how our actions can have an immediate impact that can be both cumulative and long-lasting. “Not only did I love the experience with my child and being able to watch him enjoy something new, but I was able to keep my phone and all the distractions away and just enjoy the quiet beauty and breathe. I think he and I both needed this day. Thank you again."